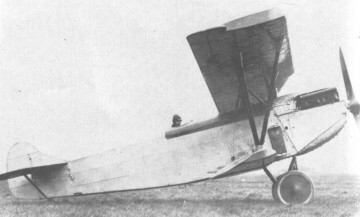 The evaluation of three modified D XI fighters by the US Army Air Service prompted the design of the D XII tailored specifically to the USAAS specification. Designed from the outset for the 385hp V-1150 (Curtiss D-12) water-cooled engine and having fabric instead of plywood-covered wings. 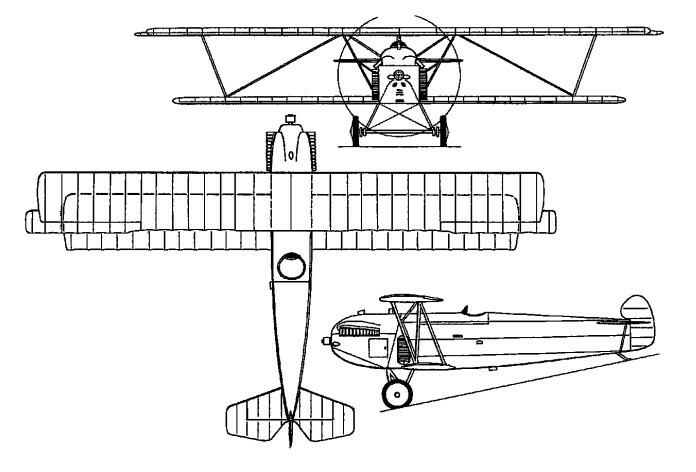 The D XII had no design commonality with the preceding D XI, but was of similar mixed construction and, initially, retained the sesquiplane configuration of its predecessor, the upper wing having some degree of leading-edge sweepback and overhung ailerons. Flown for the first time on 21 August 1924, it was not accepted by the USAAC, as unsatisfactory characteristics displayed during initial trials necessitated major re-design, the sweepback being eliminated from the upper wing and a longer-span lower wing being introduced. Greater torsional rigidity was achieved by replacing the splayed V-type interplane struts with N-type struts and attaching these by single large-section struts to the top of the cabane strut system. At the same time, the small fixed tailfin was eliminated. The D XII still proved unacceptable to the USAAS and further development was abandoned after three were built.